These past few years have seen a shakeup in the currency exchange industry, with several high-profile cases involving government actions against exotic currency dealers. One consequence of this environment is confusion among customers over whom to trust. To help you safely navigate your options, we've identified 9 things you should know about your currency dealer before making a purchase. 1) How did I get here? The most important question to ask before proceeding with a transaction is: How did I get here? What is prompting me to make this transaction, and how did that lead me to this specific website? Be leery of websites or blogs where purported "experts" speak of "inside knowledge." These websites often have links to official-looking websites that appear to substantiate their claims. Sometimes these sites link to "news stories" from seemingly credible sources that create the illusion of betraying inside information. Scammers often recommend a particular exchange to make the transaction. In many instances, these parties are connected. It is easy to compare rates across exchanges yourself, and we strongly recommend you do so before accepting the advice of a rumor peddler who may be colluding with an exchange. You can read more about this type of scam and others in our dedicated article on the subject. 2) What services do they offer? A true currency exchange buys and sells bank notes, period. Dealers offering currency on reserve, option contracts, or layaway are functioning more like a brokerage, and regulatory bodies might judge them accordingly. 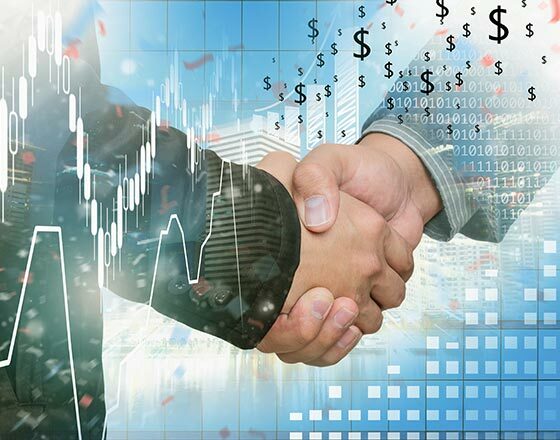 If the dealer in question is in fact a brokerage, they should be able to clearly disclose their brokerage license to customers, which is distinct from the licenses governing currency exchanges. 3) Are they licensed to sell? To exchange currency legally, the dealer must be registered as a money service business (MSB). This is a Federal Registration with FinCEN, whose database of MSBs can be searched here. While being registered with FinCEN shows an intent to identify oneself as an MSB, this does not mean a dealer is licensed to do business or is even operating legally. Rules for MSBs vary dramatically from state to state— some require licenses, while others do not. Because the registration process can be long and costly for dealers in states requiring licenses, some dealers forego it entirely, exposing themselves and their customers to risk. How can a customer determine if a dealer can legally exchange in their state? One simple rule of thumb is to check the dealer's licensing in one or all of the major currency exchange states— Texas, Arizona, and Oklahoma, for instance (note that the entity may be listed by legal name versus trade name). If a dealer is licensed across all three states, it's a reasonable indication they are a legitimate player in the currency exchange business. 4) Are they registered with the Better Business Bureau (BBB)? While not required, any reputable currency exchange should be accredited by the BBB. 100 years before Yelp, the BBB began as a service to safeguard individual consumers from irresponsible businesses. Their ratings system is still the gold standard among legitimate business-to-consumer companies, functioning as a 3rd-party verification service that the business is who they advertise themselves to be (see their rating system for more information). If a dealer is not registered with the BBB, they may not be who they claim to be. 5) Are rates calculated and tracked transparently? Reputable dealers practice complete transparency with their rates. If a dealer claims to offer amazing rates but is not forthright about what those rates will be on the date of your transaction, that is serious cause for concern. Consider the following hypothetical: The exchange rate for Euro to USD is 2:1 on Monday when you make your transaction. On Wednesday, the exchange rate drops to 1:1. Obviously, it makes a great deal of difference which rate is applied to your transaction. Yet many currency exchanges don't actually "lock in" the rate you would have received the day you placed your order. When receiving a quote, read the disclaimers attached to it carefully. Otherwise, you may not get the rate you hoped. 6) Are you required to sign a non-disclosure agreement (NDA) or safe-keeping receipt (SKR)? If a dealer forces you to sign an NDA or SKR, there is a high probability you are walking into a scam. NDAs and SKRs have been used by scammers to trick customers into relinquishing their power of attorney, prevent them from accessing their currency, and other shady tactics. These are all flagrant red flags which any reputable currency dealer would avoid. 7) Does the dealer only exchange specific types of notes? 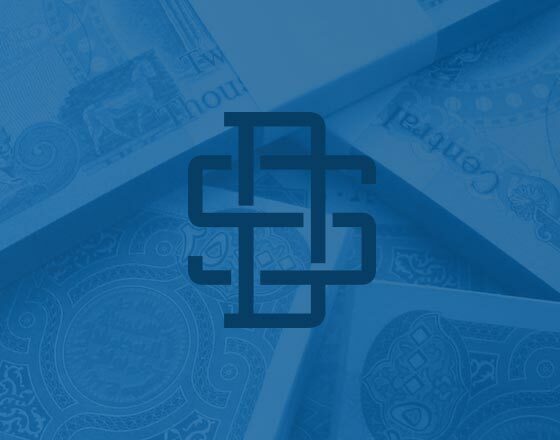 Bogus claims have surfaced over the years insisting that only the post-2014 Dinar currency was valid, or that the currency needed to be associated with a specific RFID. Currency is a bearer instrument, meaning that whoever has them is the owner. Therefore, a legitimate currency exchange won't care where you bought your currency— only that it is authentic legal tender issued from the central bank of the country in question. 8) Has the company's message changed? What was the company saying 1, 5, or 10 years ago? Archive.org's WayBack Machine search engine can be highly revealing. Some current currency exchanges can be seen offering investment advice on their websites just a few years ago— language that is in flagrant violation of the laws governing legitimate exchanges. Other sites are simply not as old as they claim to be. Whatever you discover, this is a great tool for gathering information on the exchange and determining how consistent they have been with their message over time. 9) Who owns the exchange? The currency exchange industry has seen a large amount of divestment and consolidation in recent years, resulting in many separately marketed brands under ownership of the same company. Ownership information should be clear on the dealer website, and may also be located on their BBB page. You may be surprised to discover that your dealer is not exactly who they present themselves to be. Think you have found a reputable dealer, but hesitant to make a big transaction? Try a small transaction— there's generally little cost in doing so other than a small pass-through charge for shipping. This is a great strategy to minimize risk when dealing with a currency exchange for the first time. Does your dealer pass all 9 tests? If so, congratulations - you are very likely working with a legitimate currency exchange. Unfortunately, it is all too easy to find currency exchanges that do not meet these criteria. Think twice before entrusting them with your hard-earned money. Disclaimer: SafeDinar.com has been in the currency exchange business since 2004. During this time it has been continuously owned and operated by Bryan Canavan through Dartmouth Capital, LLC. We have maintained an A+ BBB rating and are proud of the 9,000+ unedited reviews we have received over that time. Today we offer over 70 currencies.